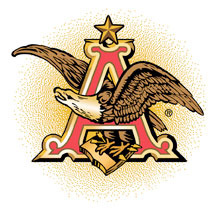 Anheuser-Busch today announced that a majority of its shareholders have voted to approve the proposed combination between InBev and Anheuser-Busch during a special shareholder meeting held today. August A. Busch IV will be a director of the newly combined company, which will take the name Anheuser-Busch InBev. Previous Post« Previous Can the Beer Coaster Be Improved Upon? Let the cost cutting begin. Looking forward to the new slogans. “Budweiser: The Under Secretary of Beers”. I am looking for AB employees who can tell me how AB and Inbev have gone about communicating the changes. This is for a communications class in my graduate program. I am looking for things that they did right and things that they did wrong. Please help! !